This Friday 05 May. Doors at 10pm. Write name on wall for guestlist. 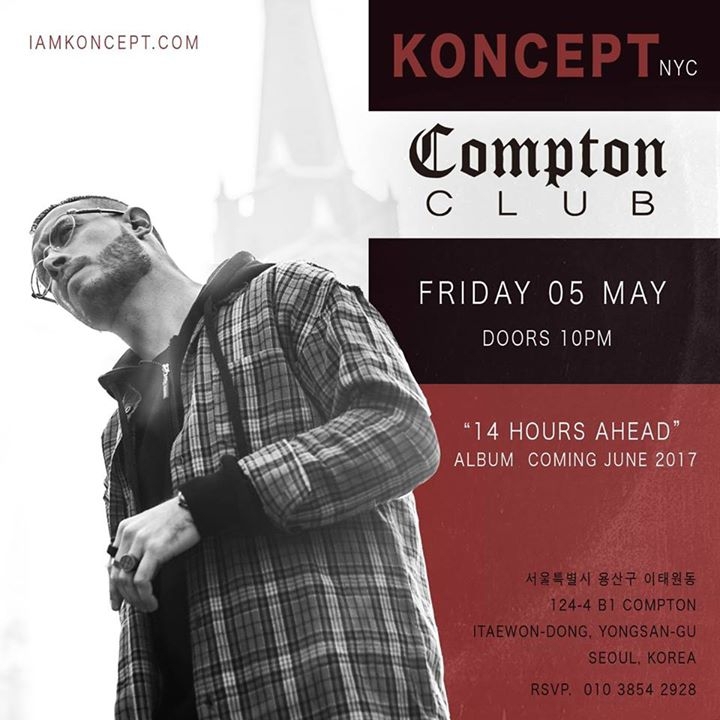 KONCEPT from New York City is releasing his new album '14 Hours Ahead' this June with Sony Music Asia. This Friday he'll be doing a special show performing new songs from the album and more. He'll also have his friends, Part Time Cooks with him performing a new song off their upcoming collaborative album.